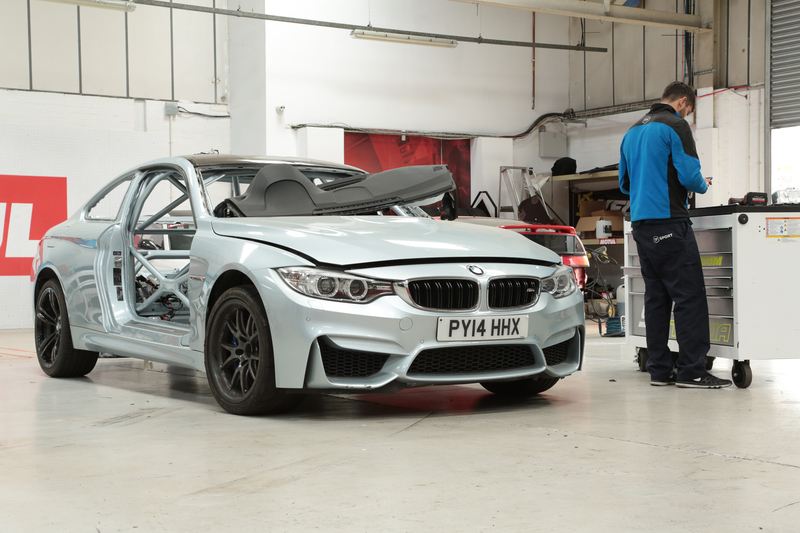 We’ve mentioned before that this M4 will be used as an R&D (Research and Development) car for our own products, we’ve also mentioned briefly that other key players are testing out parts on this car as well. Almost as an unsung hero in the suspension game, bushes are a detrimental part of your cars suspension system. But it often goes beyond your control arms that a good set of bushes can make. Whatever your vehicles application, bushes serve to stiffen, or soften the connection between moving parts on your ride. Control arms; tie rods, sway bars, these connections cannot be strictly component to component. This would cause excessive wear thus damaging vital parts, and be simply terrible to live with – the sheer amount of vibrations that these bits undergo would make going to the shops an ordeal. So in a nutshell we can conclude that a bush is almost like the cartilage between your knee cap, softening the connection to your tibia…or femur. Stiffness is where things can get a little complex, a bush is measured by its ‘shore rating’ – using a durometer we measure how much deflection the material has and that is what gives it its rating. In terms of bushes, we measure with an ‘A type’ durometer. This has a flat end to it, the deflection of the rubber is spread across the surface of the material rather than being focused to a point (like a D type durometer). From here this gives us our rating. Generally a road car will feature softer bushes, these can take the strain of the connecting components BUT more importantly, at least in terms of day to day live-ability(? ), reduce audible and physical vibration. With the soft rubber being able to absorb the incoming vibrations from the road you’ll cruising on, ultimately helping to deliver a smoother ride with all your teeth in tact when you get to where you want to go. The trade off you make when you shoot for softer bushes is feel and response, as the bushes get harder, the lack of give in the bush compound tightens the connection between the parts mated either side of the bush. Giving you more response from the car, the response only increases when more bushes are replaced with harder (or solid) alternatives. Buying these bits can be understandably confusing, but there is a lot of information out there when you’re shopping around to replace/upgrade your current road car bushes. POWERFLEX for example have a great set of resources to assist you in your search, as well as a massive variety of bushes for vehicles in all shapes and sizes. 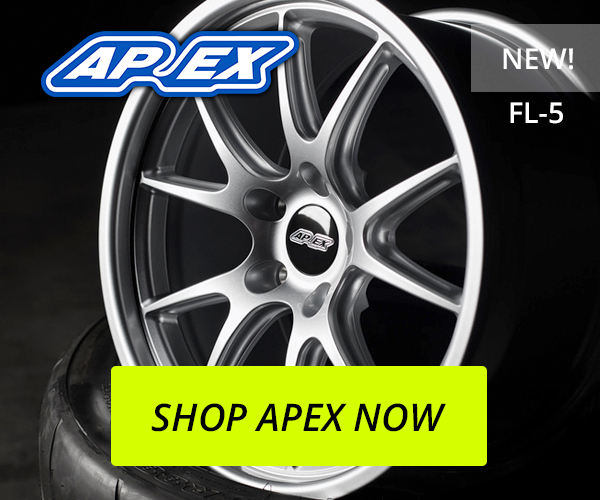 The compound itself can vary depending on the vehicles application, POWERFLEX offer a range from 60A – roughly 30% stiffer than an OEM style bush compound, too 95A, motorsport quality bushes that are over 80% stiffer than a conventional bush. Thankfully there are spaces in between 60A and 95A too accommodate vehicles that don’t see permanent track use, or perhaps get driven ‘spiritedly’ around b-roads. The middle ground is where driver preference really comes into play, when you take into consideration the pro and cons of stiffer bushes it gives you the chance to tailor your ride to you a bit more. Importantly it doesn’t mean that softer bushes are worse or better in quality, with a company like POWERFLEX the quality is shown throughout from soft to stiff. In some instances the OE design of some parts proved to be inefficient and simply not up to the task, notably the front upper control arm bearings. We initially thought of an improved design, preventing the factory bushes from tearing, which would then be replaced with polyurethane equivalents. From factory these bushes were subjected to a lot of stress and due to their design, would be compromised under load or extended use. For the street, the daily driver application if you will, these cars come with a big, soft, open design – optimised for the rotation whilst being connected to the front upper control arm. This method initially came from the E9X series cars, but has since been applied to the M2, M3 and now the M4. As we said this proved to be an inefficient design, even on street applications, due to ABS making this issue worse with tyre skipping. BIMMERWORLD has provided us, and the after market, with a great redesign in the form of their Precision Front Upper Control Arm Bearing Kit. The bearing now is fully sealed, not to dissimilar to other suspension components, but importantly still provides multi-axis rotation. 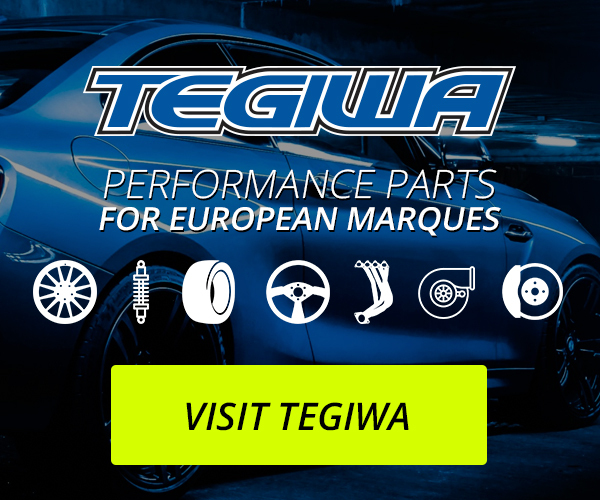 This a performance replacement that is just as at home on the road too, making it ideal for the daily driver as well as our own endurance car. 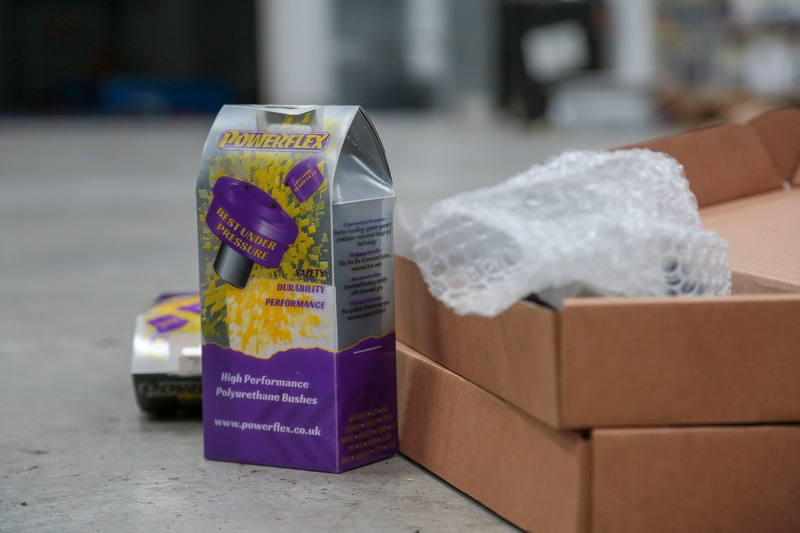 POWERFLEX really came in strong to help us out when it came to bushing the M4 – sending us some bushes to test out. The car would be experiencing larger amounts of load/unload than a conventional road car, so OEM bushes were out and Polybushes were in. Its important to note that durability is a large part of endurance racing, these cars will be on track for hours at a time so these bushes need to be robust. As the front and rear subframes have been dismantled and dropped during the build it goes without saying that the bushes within have been replaced with POWERFLEX‘s racing equivalent. The rear subframe will be testing our own adjustable arms, once again tying in the subframes to the bodywork. Another massive benefit of these is yet more ways of adjusting the M4’s alignment, whilst adding another point of rigidity – firming the whole system up. On top of the adjustable arms we’ll be testing our own drop links as well, these’ll be fitted up front connecting the anti-roll bar too the struts. These will give the M4 more torsional rigidity, and harness the full potential of the anti-roll bar. As per usual keep an eye on this space for any updates we have, next we’ll be looking at fuelling and looking over the M4’s dashboard.